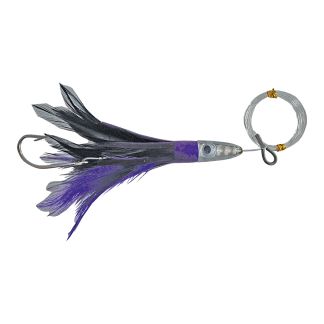 Eureka Phantom lures are a short pusher that create an amazing smoke trail that can be placed anywhere in a lure spread. They feature a double skirt with an oversized eye. They are suitable for Tuna, Dolphin Fish, Marlin & Albacore. 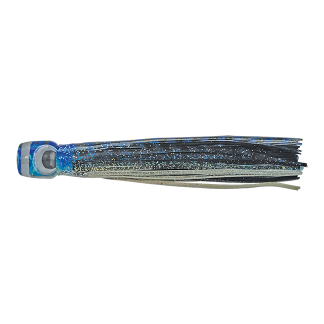 Eureka Torpedo lures are a classic bullet shaped lure that will work in most sea conditions. They feature double feathers with an outer skirt and all come Pre Rigged with quality nylon leaders, crimps and a Stainless Steel single hook. They are suitable for Tuna, Dolphin Fish, Kingfish, Mackerel & Albacore. Eureka Troll Doll lures are professionally pre rigged with a quality double hook and monofilament trace. Eureka Troll Doll lures area great high speed lure suited for Tuna, Dolphin Fish, Kingfish, Albacore, Salmon & Tailor. Eureka Viper lures are a Slant Head lure that can be trolled at faster speeds. It dives, pops and swerves and creates a short to medium bubble trail. The Eureka Vipers weighted head allows it to handle rougher conditions.They feature a double skirt with a prism head. They are suitable for Tuna, Dolphin Fish, Marlin & Albacore.